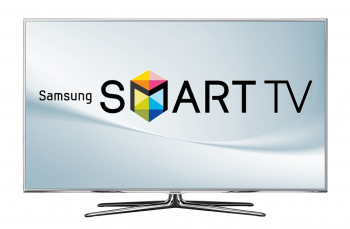 Let's say you own a Samsung SmartTV, which you used to watch last night's The Walking Dead and Better Call Saul premieres. Since you're in the privacy of your own home, you have no problem flying into profanity-laden tirades about which beloved characters died this season, correct? One problem: If your voice commands are turned on your conversation isn't as private as you think. Any voice data collected by the TV, including potentially personal or sensitive information, can be captured and transmitted to a third party. If you enable Voice Recognition, you can interact with your Smart TV using your voice. To provide you the Voice Recognition feature, some voice commands may be transmitted (along with information about your device, including device identifiers) to a third-party service that converts speech to text or to the extent necessary to provide the Voice Recognition features to you. In addition, Samsung may collect and your device may capture voice commands and associated texts so that we can provide you with Voice Recognition features and evaluate and improve the features. Please be aware that if your spoken words include personal or other sensitive information, that information will be among the data captured and transmitted to a third party through your use of Voice Recognition. To be fair, voice recognition data collection can be disabled from the SmartTV's settings menu. Samsung warns, however, that doing so "may prevent you from using all of the Voice Recognition features". Privacy concerns surrounding living room entertainment will likely continue to rise - that was a major criticism of the Xbox Kinect which reportedly stored webcam and chat traffic on government databases. Now we don't even need a peripheral for televisions to snag personal data. I suppose that's progress.